Prevent from headaches and neck pain, Great for travelers and desk-bound workers as well. Conforms to the shape of your neck. Relieves pressure and helps prevent headaches and neck pain. and shoulders for therapeutic support. Ergonomic design reduces muscle tension, fatigue and stress. Allergy resistance feature helps to prevent mites and allergenic particles. U shape is compact and easy to carry, relieves pressure caused by long-time sitting. 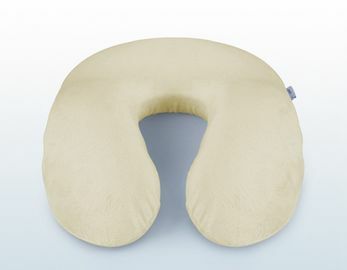 › Helps maintain proper head and neck alignment.Made of high quality, thermo-sensitive memory foam. › Ergonomic design for ultimate comfort and support for a normal neck length person. › Machine-washable plush velboa cover, Removable zippered . › Great for travel or use for neck support any where you like. 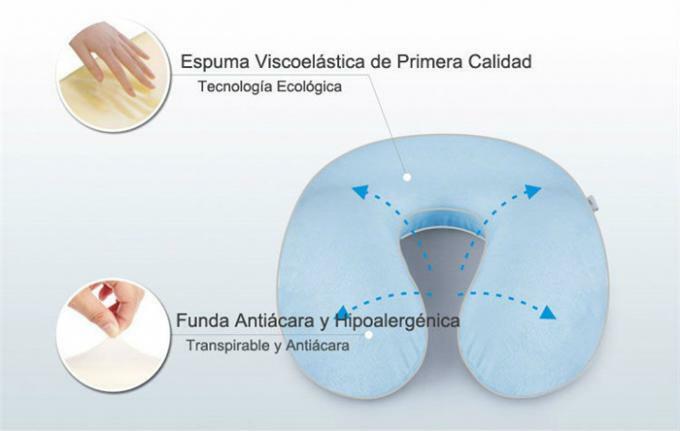 › Memory Foam Travel Pillow is made from special thermo sensitive memory foam to provice optimal neck, shoulder and head support. › The U-shaped Travel Neck Pillow is specifically designed in such a way that it has just the right softness to provide the most comfortable support for your neck.You will definitely like the soft and comfortable feel of this pillow. › Premium memory foam will mold to your body's natural contours for a custom fit.In addition, Mite and Allergen Proof Cover, high-quality, machine-washable, Breathable and Anti-mite. › The zipper opening allows for easy adding or removing of stuffing for self-adjusting the firmness or softness that is comfortable for you. › Great for traveling in a car, truck, bus, train, or plain, and also for lounging at home or by the pool. Includes a travel bag, an elastic strap, and a washable cover. 3) Can add buyer's logo for promotion. 4) Service:Any of you inquiry or question will be replied in 24 hours. A1 : Sample on stock will be free. It takes 3-5 working days. A2 : Our MOQ is usually 500 pcs. Small q’ty accepted to support your business. A3 : The time of delievery is 15-35 days after order and deposit confirmed. A4 : We ship the products from Shenzhen Yantian port. A6 : Our main products are memory foam pillow,cushion,mattress and other related products, OEM and ODM servies offered. A7 : If you have your own design, we will according to you design to make. If you don’t have the design, you can tell us your requirement, we can offer you some samples for checking.